If you like cars and a good bit of history as well, this blog post (our longest ever) may well take you the next 100 years to read, but we think you will agree that it was worth it once you get to the end - enjoy! 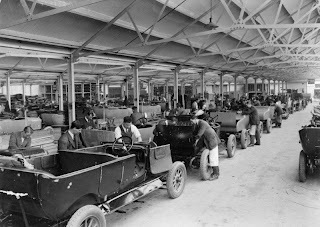 The MINI Plant will lead the celebrations of a centenary of car-making in Oxford, on 28 March 2013 – 100 years to the day when the first “Bullnose” Morris Oxford was built by William Morris, a few hundred metres from where the modern plant stands today. Twenty cars were built each week at the start, but the business grew rapidly and over the century 11.65 million cars were produced. 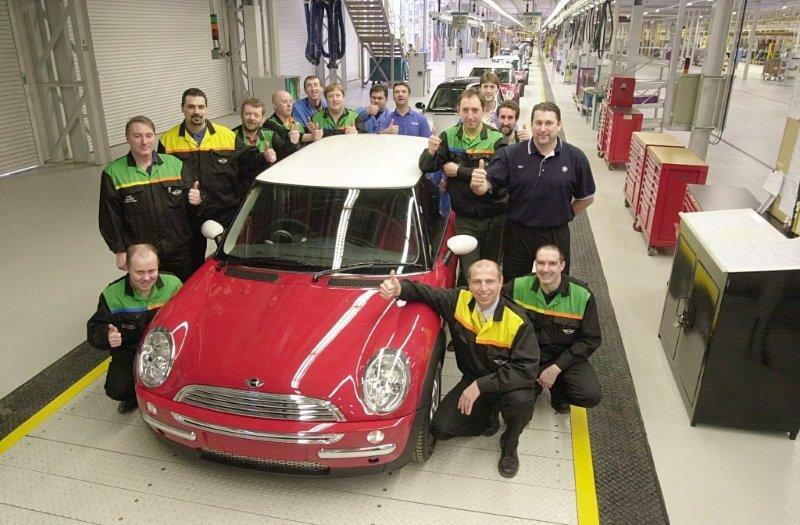 Today, Plant Oxford employs 3,700 associates who manufacture up to 900 MINIs every day, and has contributed over 2.25 million MINIs to the total tally. Major investment is currently under way at the plant to create new facilities for the next generation MINI. Over the decades that followed the emergence of the Bullnose Morris Oxford in 1913, came cars from a wide range of famous British brands – and one Japanese - including MG, Wolseley, Riley, Austin, Austin Healey, Mini, Vanden Plas, Princess, Triumph, Rover, Sterling and Honda, besides founding marque Morris - and MINI. 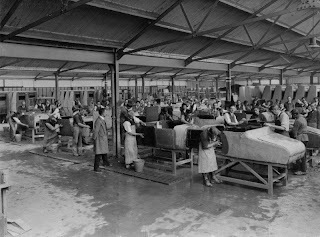 The Pressed Steel Company, part of the Cowley operation, also built bodyshells for Rolls-Royce, Bentley, Jaguar, MG, Standard-Triumph, Ford and Hillman, as well as tooling dies for Alfa Romeo. At various stages in its history it has also built Tiger Moth aircraft, ambulances, military trucks, jerry cans, components for Horsa gliders, parachutes and iron lungs. 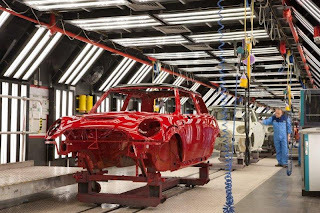 The plant has produced an array of famous cars, including the Bullnose Morris, the Morris Minor, the Mini, India’s Hindustan Ambassador and today’s MINI. It also produced Hondas for a short period in the ‘80s, as well as some slightly notorious models including the much-derided (though far from unsuccessful) Morris Marina, the startling ’70s wedge that was the Princess and in the Austin Maestro one of the world’s earliest ‘talking’ cars. BMW Group invested heavily in Rover, deciding early on that a replacement for the Mini would be a priority. But considerable headwinds, including an unfavourable exchange rate and falling sales lead to BMW selling both Rover and Land Rover in 2000, while retaining the Mini brand, Plant Oxford, the associated Swindon pressings factory and the new Hams Hall engine plant that was preparing for production. Today, Plant Oxford is flourishing with the manufacture of the MINI Hatchback, Convertible, Clubman, Clubvan, Roadster and Coupé. 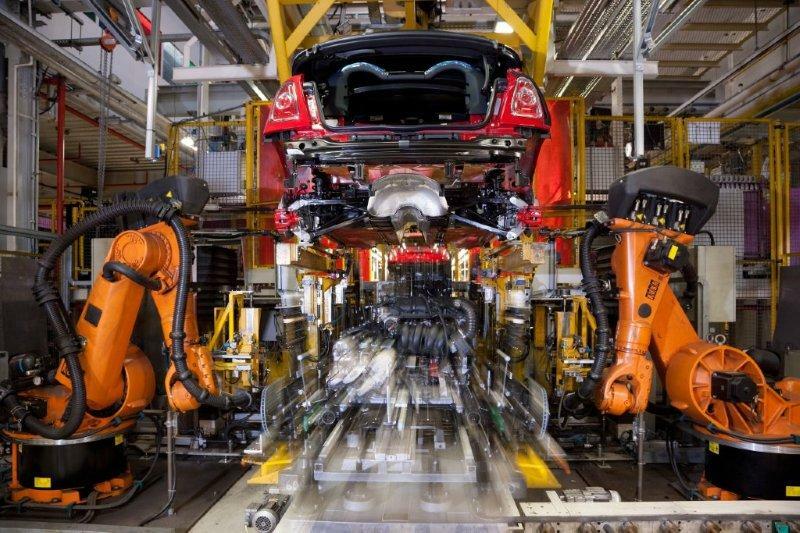 It is currently undergoing a major investment that includes the installation of 1,000 new robots for both a new body shop and the existing facility in readiness for the next generation of MINI. 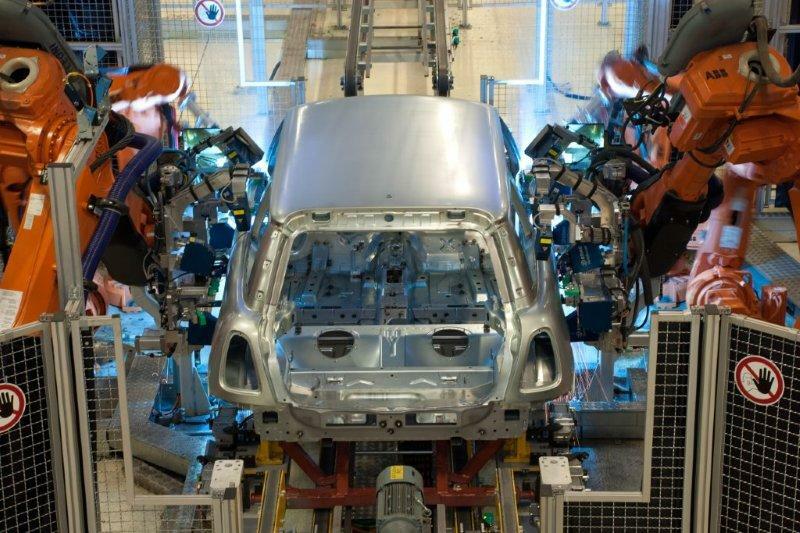 This represents the lion’s share of a £750m investment programme, announced in the last year, which also sees the significant upgrading and installation of new facilities at the company’s Hams Hall engine plant and the Swindon body pressings factory. 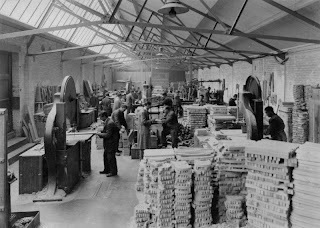 The Oxford plant has generated many billions of pounds for the nation, as well as considerable wealth for many other countries around the world during its 100 years, providing direct employment for hundreds of thousands of employees and tens of thousands more through indirect jobs. The plant has a long history of export success from the 1930s onwards, Morris products accounting for nearly 30 percent of the nation’s total exports by the mid 1930s. 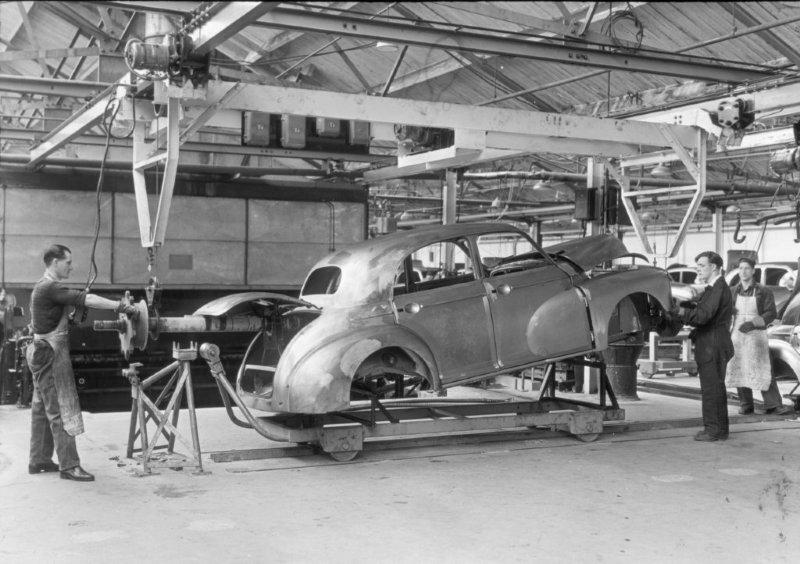 In 1950, the plant produced its 100,000th overseas model – a Morris Minor – and by 1962 BMC was shipping 320,000 examples of its annual production of 850,000 vehicles to over 170 countries, Oxford contributing a major part of that total. BMC was the UK’s biggest exporter in the early ‘60s, just as Morris had been in the ‘30s. Plant Oxford has contributed to the industrial activities of a surprising number of far-flung countries too, by producing tens of thousands of cars for export in CKD (Completely Knocked Down) kit form for assembly in overseas factories. Countries that have built cars from kits include Argentina, Australia, Belgium, Cuba, East Africa, Ghana, Holland, Hong Kong, India, Indonesia, Iran, Ireland, Italy, New Zealand, Malaya, Mexico, Nigeria, Spain, Sri Lanka, Tanzania, Trinidad, Turkey, Uganda, Uruguay and many others. 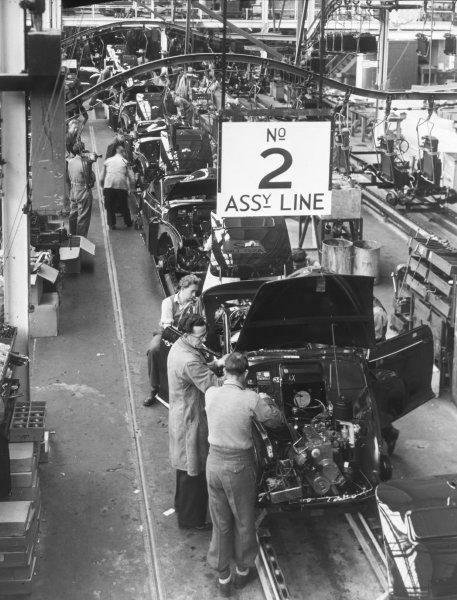 By 1967 CKD cars formed 40 percent of BMC’s exports, the kits assembled in 21 plants around the world. 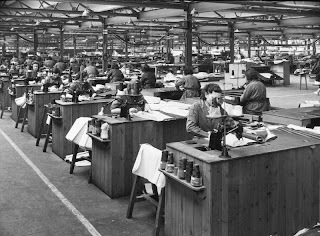 Morris Oxfords, Minors, MGAs, Minis, Morris 1100s and commercial vehicles were among the many models built in these distant factories. 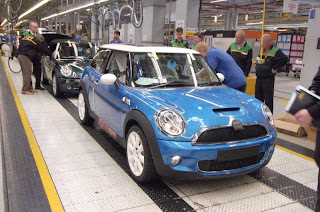 Plant Oxford’s export record is equally impressive today, no less than 1.7 million MINIs having been exported to over 100 countries since 2001. 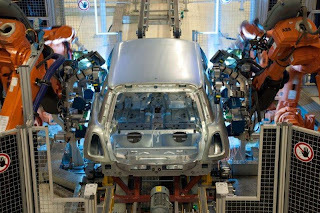 The plant has also had a positive and remarkable impact beyond car production, too. Founder William Morris, later Lord Nuffield, was one of the country’s most generous philanthropists. He manufactured iron lungs at Cowley to donate to hospitals, while Nuffield Health, Nuffield Farming Scholarships Trust and Nuffield College, Oxford University, were all founded by Morris, whose philanthropic gifts are estimated to be the equivalent of £11 billion at today’s values. The Nuffield Health organisation flourishes to this day, as do Nuffield College and many other Nuffield-founded philanthropic enterprises. During World War II the plant played a role, building military equipment that included Tiger Moth aircraft. 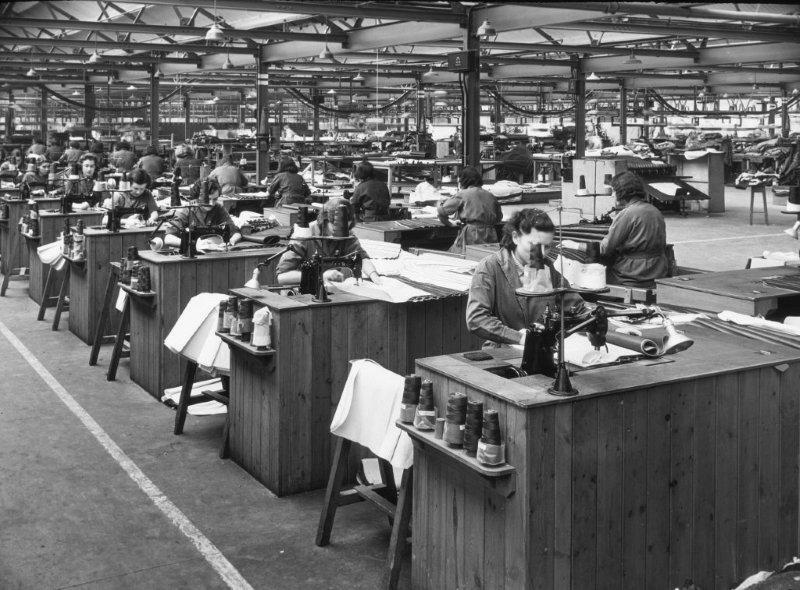 Parachutes, jerry cans and aircraft sub-assemblies were also manufactured in large numbers. Cowley also carried out over 80,000 repairs on damaged Spitfire and Hurricane aircraft. Plant Oxford has employed a number of motor industry luminaries, besides founder William Morris, including Sir Alec Issigonis, who designed the Morris Minor and the Mini that were built there, Leonard Lord, who would go on to run the British Motor Corporation, Eric Lord, who ran the plant when it reached a production peak of 6,000 cars a week during the ‘60s, and plant director Sir George Turnbull, who went onto help Hyundai become a manufacturer of own-design cars rather than licence-built models during the 1970s. A number of senior figures in the motor industry and in BMW Group today are former Plant Oxford employees, including Herbert Diess, a previous MINI Plant Oxford director and now a member of the BMW AG board of management responsible for development. William Morris’s first car, actually named the Morris Oxford but known as the Bullnose because of its distinctive, rounded radiator cowling in brass. 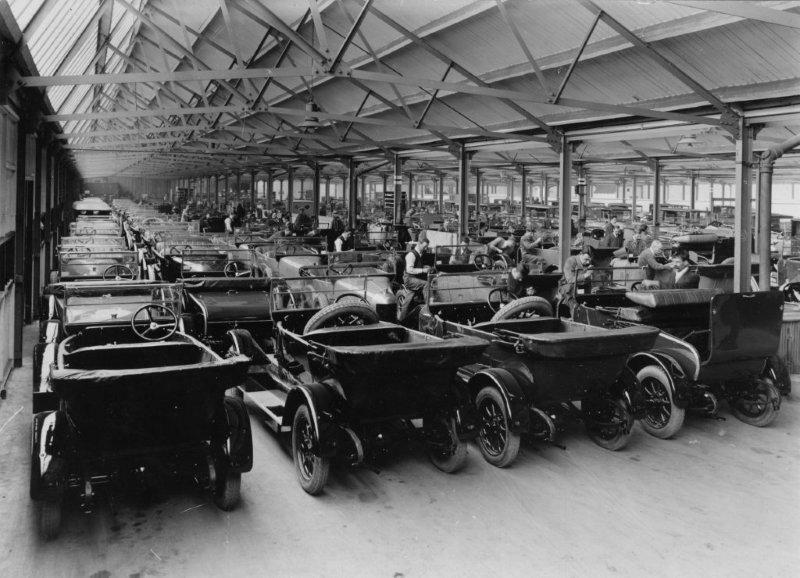 A bold series of price cuts saw Morris becoming the UK’s biggest selling marque by 1924. A small, affordable car whose price Morris eventually cut to £100, ensuring considerable popularity. Together with the baby Austin Seven, it made the motor car significantly more attainable in Britain. A big pre-war and post-war hit, this barrel-bodied Morris developed through several iterations and remained a common sight right into the ‘60s. The ‘50s Oxford was a family car staple of the Morris range, besides continuing with the model name that had started Morris off. 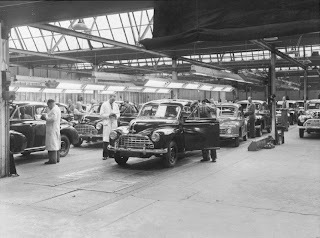 An unremarkable car, except that it was the basis of India’s once hugely-popular Hindustan Ambassador, Morris shipping all the Oxford III tooling to the company in 1957. The Ambassador – or Amby, as it is fondly known – remains in small-scale production today. The revolutionary Mini was another creation from Alec Issigonis, its transverse, front-wheel drive powertrain and space-efficient packaging redefining small car design. Go-kart handling soon inspired the sportier Coopers and giant-slaying, headline-making competition performances. Classless, fashionable, much-loved and widely exported, it introduced a word to the English language and became Britain’s most famous and most produced car with a total production volume of 5,387,862 vehicles. 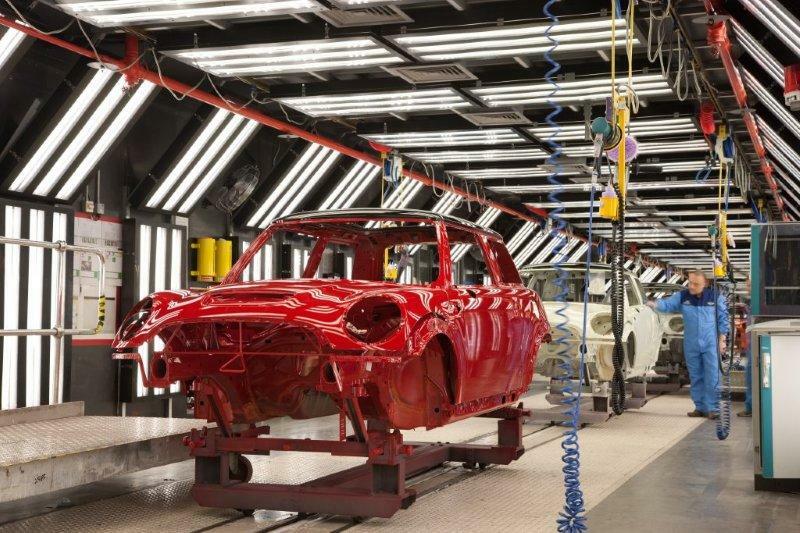 Plant Oxford manufactured it for 10 years from 1959, its counterpart Longbridge, Birmingham factory remaining the chief UK source until its demise in 2000. The second front-drive Issigonis model, essentially an enlarged Mini with Pininfarina styling and Hydrolastic fluid suspension. The most advanced small family car on sale at the time, it sold even faster than the Mini to become Britain’s best-seller for 10 years. Launched as a Morris, it was also sold as an Austin, MG, Riley, Vanden Plas and a Wolseley, and was offered in two-door, four-door and estate bodystyles. The vast majority of Sprites Midgets were built at MG’s factory in Abingdon, but in 1966 some were also built at Cowley. 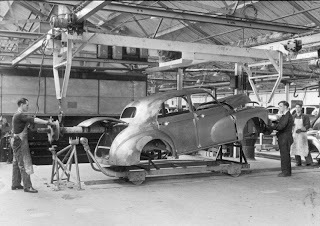 Arranging this was easier than it sounds, a substantial part of the car already manufactured there by Pressed Steel. The Mk 1 Sprite – aka Frogeye - was a tiny, affordable sports car largely confected from off-the-shelf BMC parts, and to great effect despite its low power. A 1961 facelift produced more conventional styling – and an opening boot - and the near-identical MG Midget version. These executive cars were unusual for being the progeny of an engineering collaboration between Rover and Honda, the two sharing inner bodywork, suspensions and some drivetrains while presenting unique body and interior designs. Plant Oxford not only built the Rover 800 but for a short period, the sister Honda Legend model too. The 800 was also part of a major export initiative to the US in the mid ‘80s, under the Sterling brand name. This much deeper collaboration furthered a fruitful period in which Japanese just-in-time and continuous improvement techniques were introduced to the plant, eventually leading to significant gains in vehicle build quality. The all-new MINI recalibrated the Mini as a larger, vastly more sophisticated premium supermini in an evolution that defined a new market, just as the original car did. Widely praised for styling that honoured its predecessor with contemporary and hugely appealing flair, it also won plaudits for its handling, imaginative interior design and build quality. The MINI also introduced personalisation on a scale never before seen in a small car, firing the gun on a trend now widely copied. 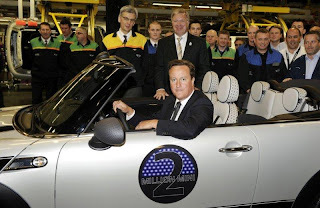 It exceeded its sales targets from the start – unlike the classic Mini – and was joined by a Convertible in 2002. Extensively redesigned for 2006, the second-generation MINI provided more interior room, increased aluminium content, to reduce weight, and highly advanced new petrol engines manufactured at BMW Group’s Hams Hall plant in Birmingham. It was also one of the earliest models to receive engine start-stop technology. The range has grown extensively to include the Clubman estate, with its radical door configuration, the sporty two-seat Coupé and Roadster, the Clubvan and the Convertible.